BlackBerrys were once hot, now they’re not. Now what? How Did Blackberry Fall Down? The source of BlackBerry’s hard times is pretty easy to point out. Back in the day, the only smart phone that was widely available was the BlackBerry. They did a nice job of creating their own messaging system and with every release, their phones got just a bit better. However, then Apple and Samsung arrived at the party and the BlackBerry product managers didn’t update their product development definition. What Apple (and Samsung) did was to create a stylish phone that everyone wanted. They further supported their products by creating a thriving app store for their phone and then they encouraged app developers to create software that would run only on their phones. People started buying these other phones not just because of what the phones could do, but also because of the library of software that purchasing the phone would provide them with access to. The impact of all of this competition was market share loss. BlackBerry slid from having a 50% market share about 5 years ago down to roughly 1.9% right now. Clearly, this isn’t going to look good on anyone’s product manager resume. Their CEO has been taking steps to try to fix things by reducing the company’s operating expenses by 30%. Additionally, the company is trying to woo back their key government and large corporation customers. Can Blackberry Get Up Again? 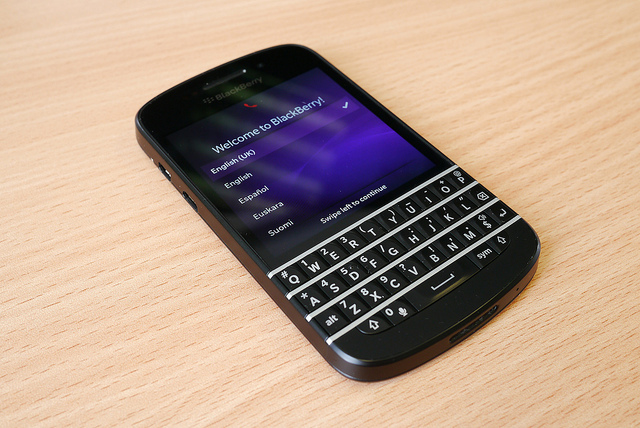 The product managers at BlackBerry have a critical task ahead of them: saving their brand. In order to successfully do this, they are going to have to create an app store that is as large and as valuable as both Apple and Google’s Android have done. They’ve already taken the first steps in making this happen by starting to open up access to their operating system. They are reaching out to companies like IBM and VMWare to see if they can interest them in creating mobile-device management software that will work with BlackBerry devices. One of the reasons that BlackBerry is in such dire straits is because with their loss of market share, their corporate revenues have also slid. The BlackBerry product managers are now looking for ways to replace their lost revenue streams. They are investigating finding ways to harness the 85 million users of the BlackBerry Messaging service (BBM). The thinking is that if they allow advertisers to gain access to this communication stream, then the advertisers could set up their own channels that would attract subscribers. Finally, as the product managers took a look at BlackBerry’s business model they made an interesting discovery. It turns out that it was costing the company more to manufacture its mobile phones than they were making from them. This caused the product managers to take steps to get out of the phone manufacturing business. BlackBerry has now outsourced all of its phone manufacturing to Foxconn Technology Group. This should allow BlackBerry to focus on the things that will allow them to save the company. Once upon a time, Blackberry was the king of the cell phone hill. However, as with all such things in life, things changed. Now in a world of iPhones and Android devices the Blackberry brand seems to be just hanging on. Does the product manager job description for the Blackberry product managers say anything about saving this brand? The answer to that question is – maybe. Blackberry got themselves into this hole by guarding their system too closely. They didn’t open the system and allow other firms to build on top of it. This is now changing. They are allowing outside firms to create applications that will run on the Blackberry OS and they are releasing more models of phones. Question For You: Do you think that the Blackberry store needs to have more apps or simply better apps?